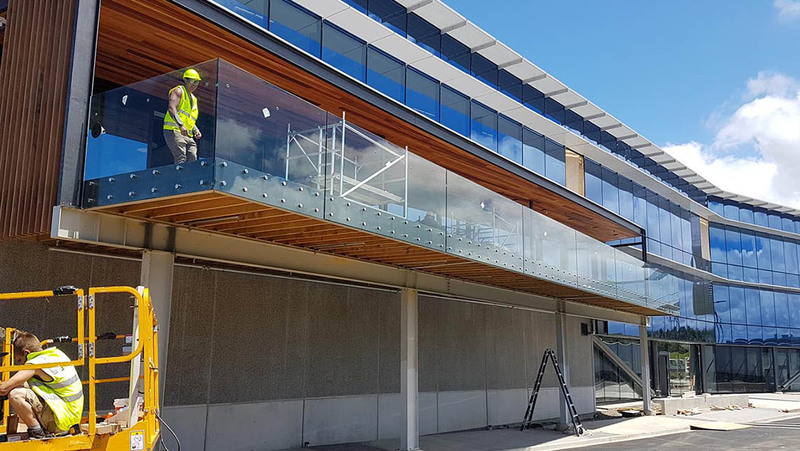 The Mitre 10 new office building in Albany was a very large balustrade project which really tested the efficiency and skills of the Haynes Glass Team. 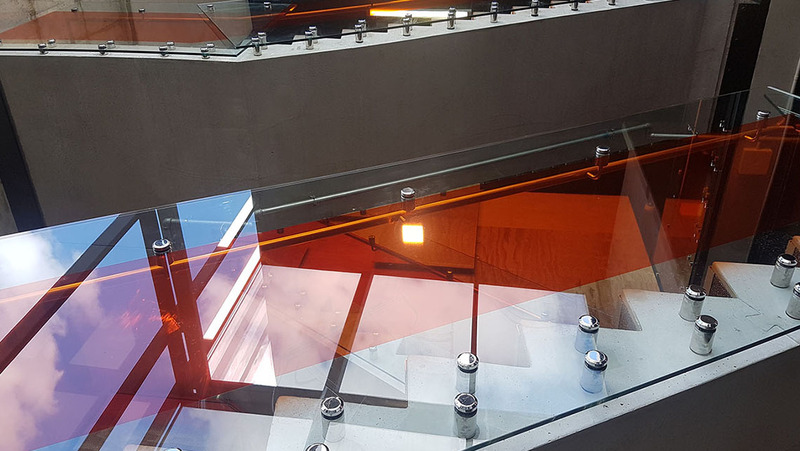 Due to the tight work areas, Proliner Laser measures were not possible, so the guys spent a lot of hours creating templates for the majority of glass panels installed. And judging by the accuracy after install, they did an extremely good job. 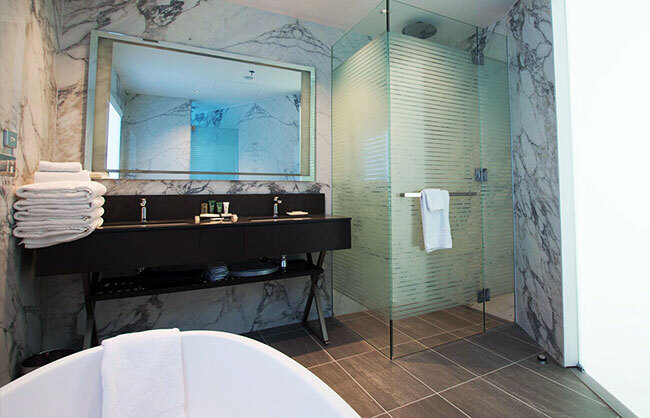 115 panels of 15mm Toughened Glass, 910 holes drilled into concrete, 1190 standoffs and brackets installed, and roughly 1000 hours of manual labour later, the final project was complete. Not to mention the strain at working over Christmas. 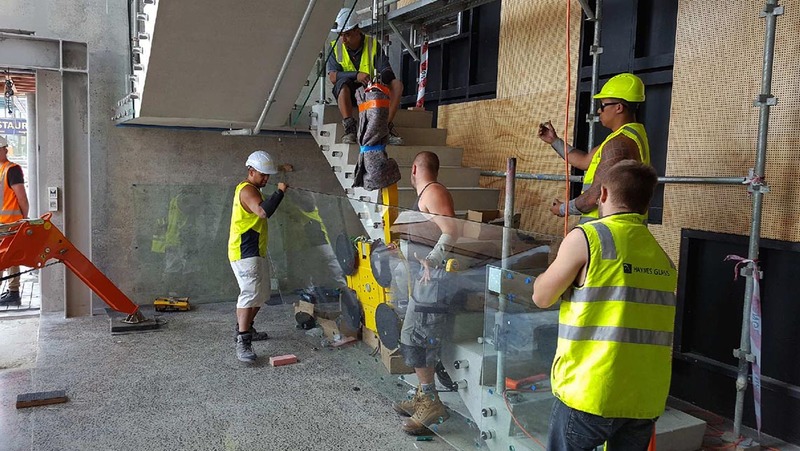 With a unique design on the main stairwell, glass panels weighing up to 250kg and as long as 4.5m in length were overlapping other panels with use of extra long standoff spacers to create an dramatic effect. 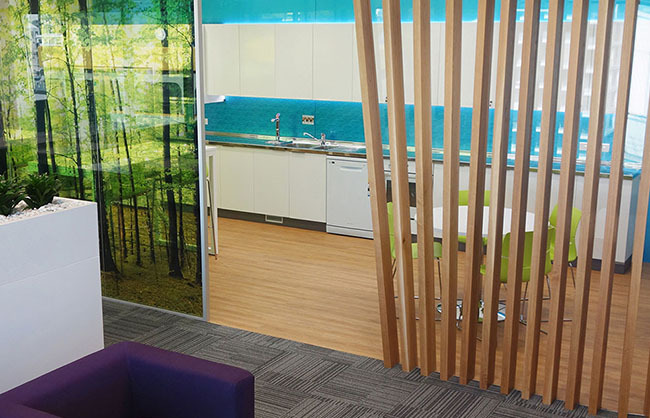 The perseverance from the team to carry such large panels and align the fittings so precisely was a huge achievement and will not be forgotten. In fact, every journey north on the motorway past Albany the balustrade glass can be viewed clearly for anyone to see. 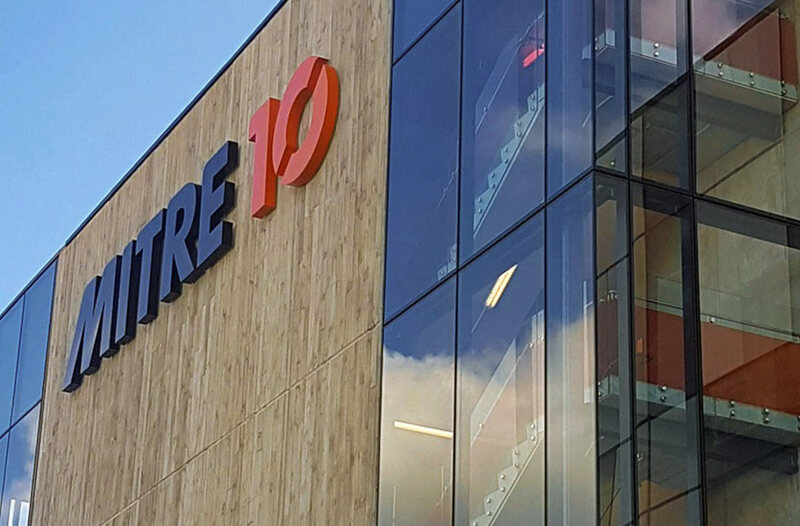 With a satisfied construction company, architect and most importantly Mitre 10 customer, Haynes Glass could breathe a sigh of relief and look back on a tremendous effort and a finish of class.